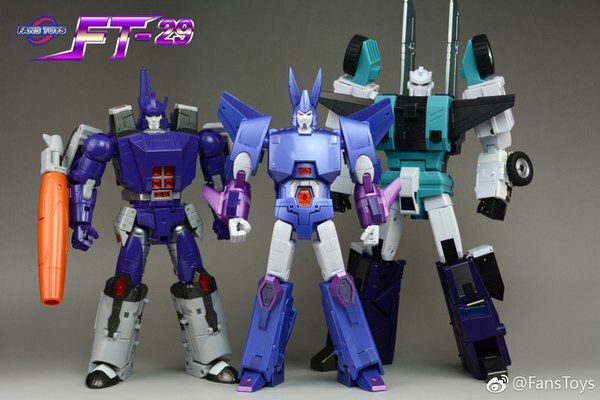 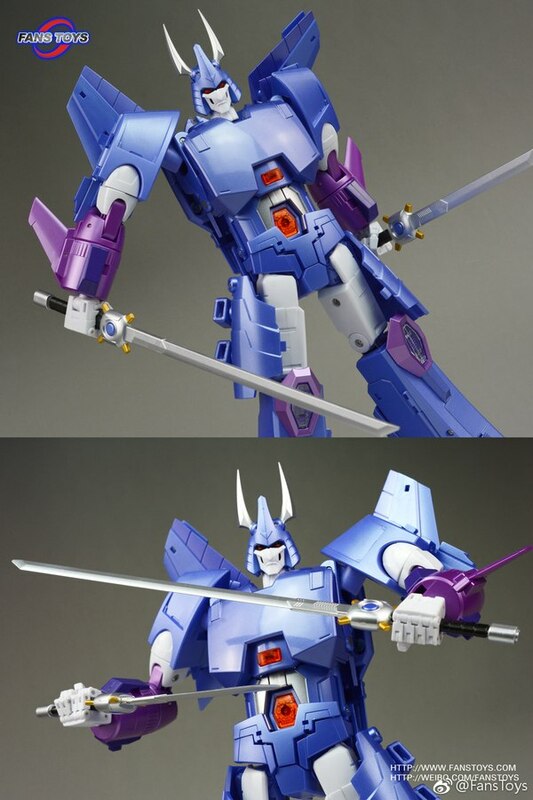 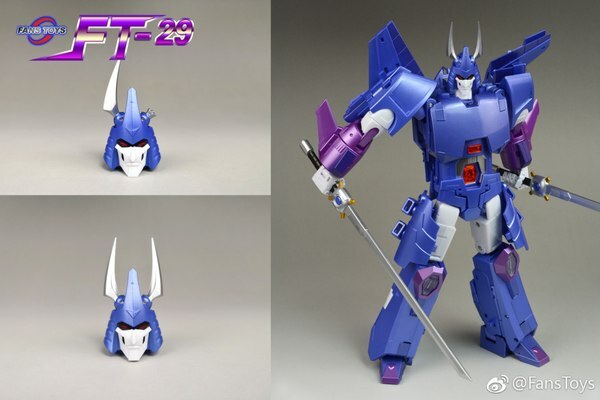 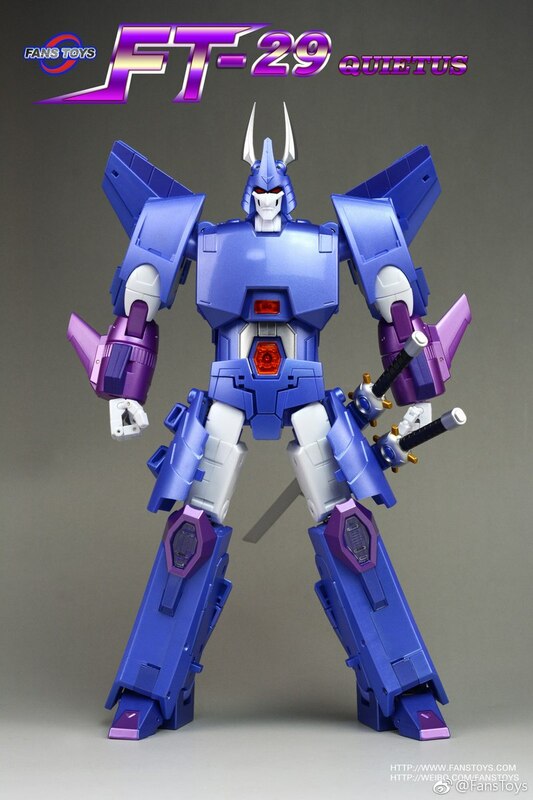 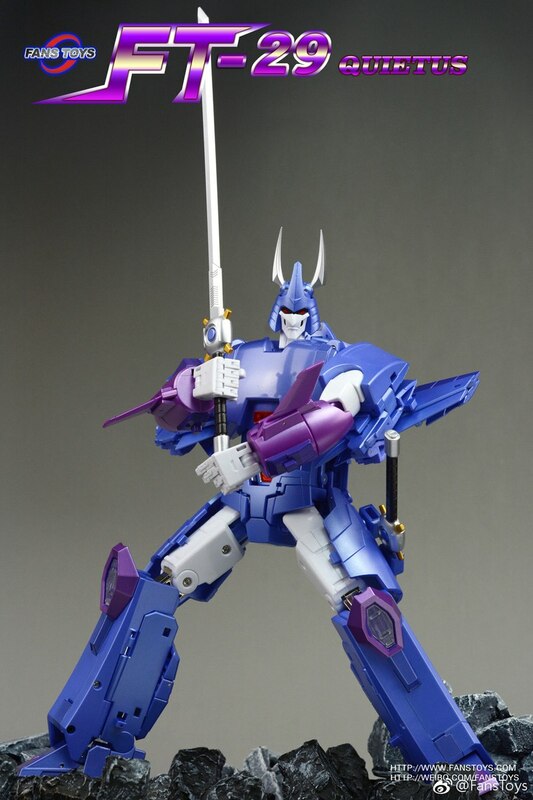 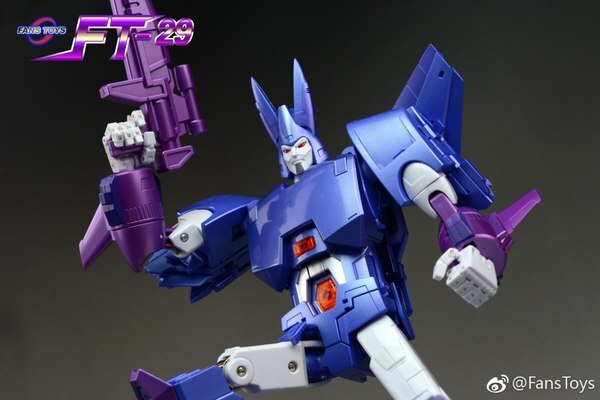 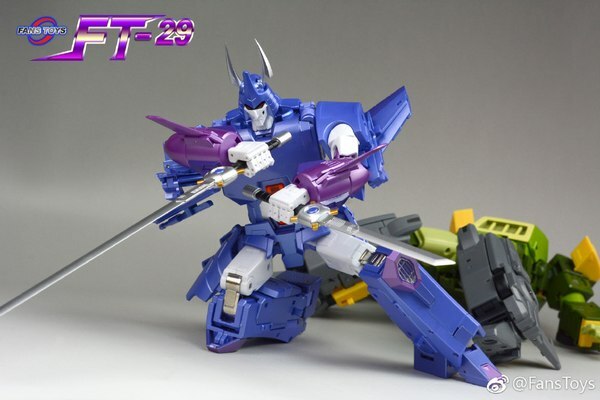 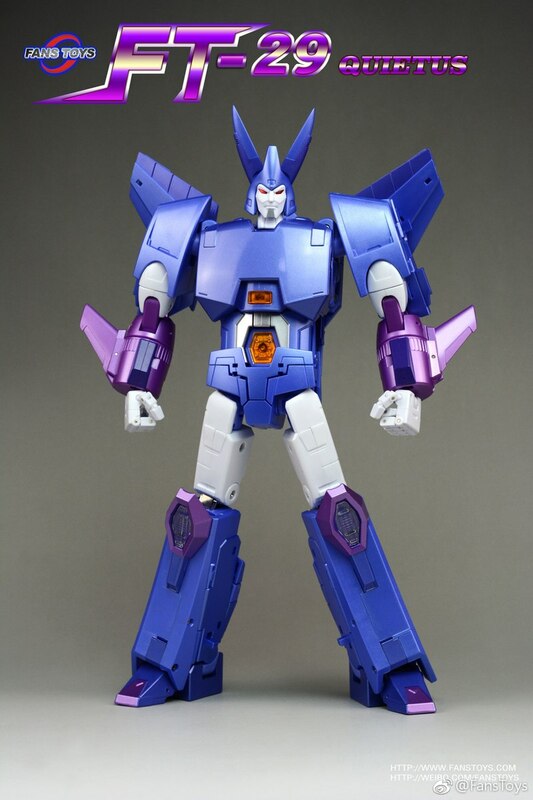 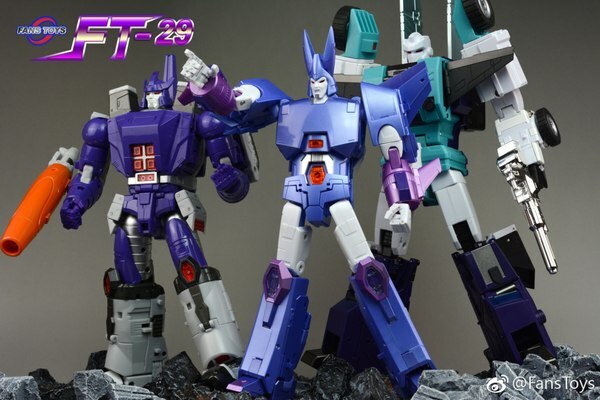 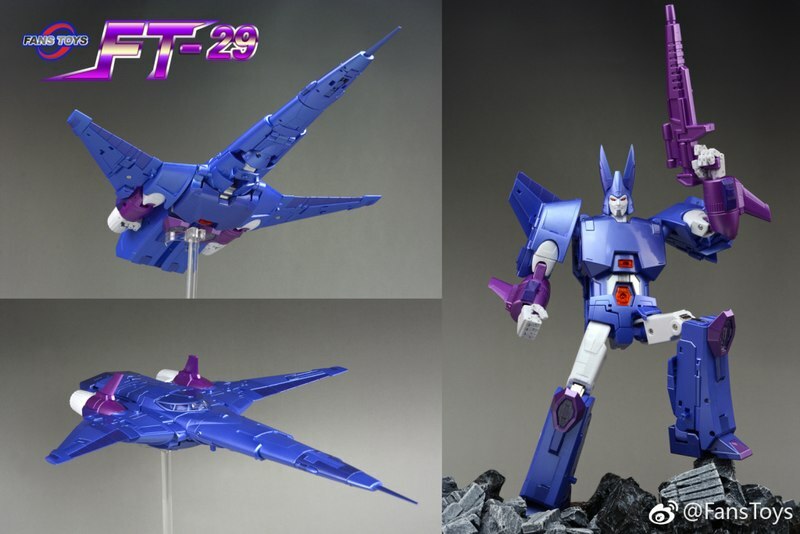 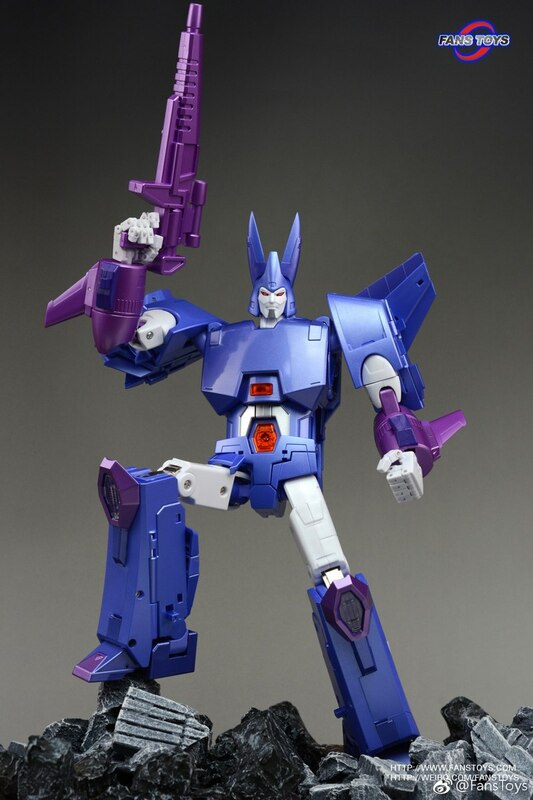 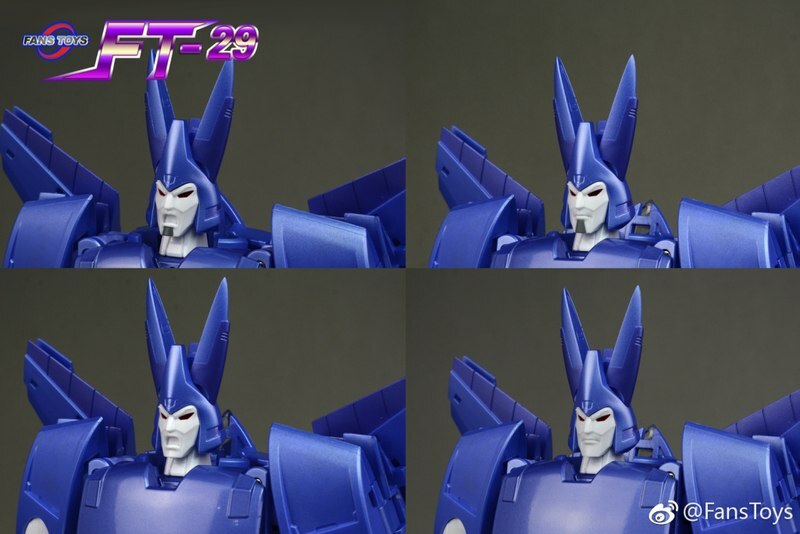 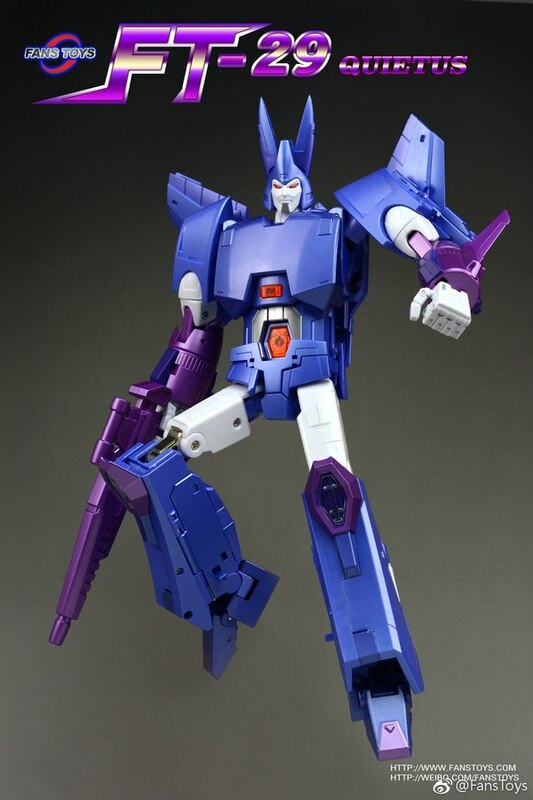 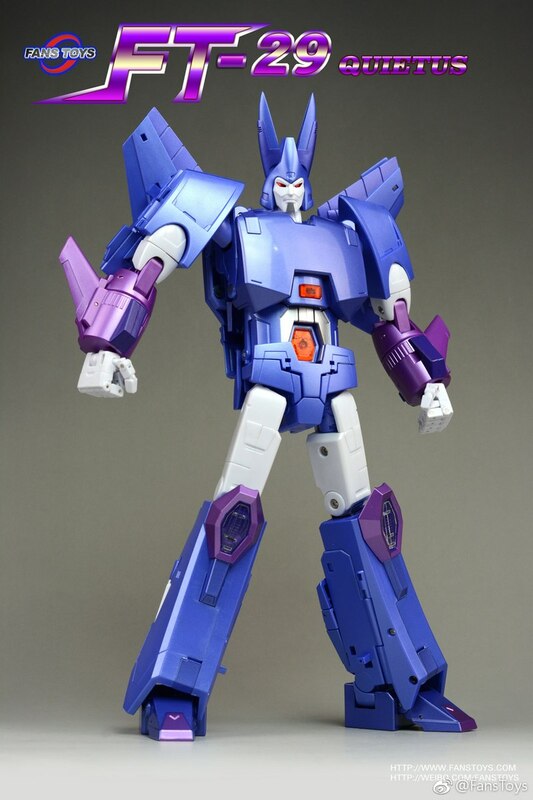 On Weibo, Fans Toys has shared a couple batches of photos for an MP scale unofficial Cyclonus. 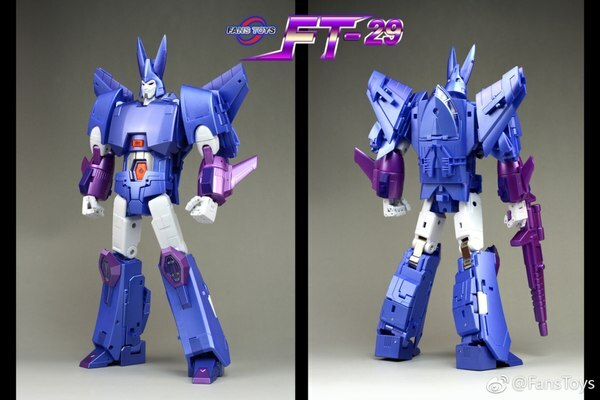 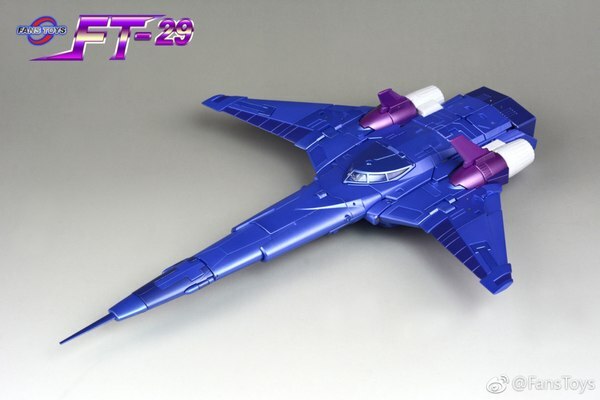 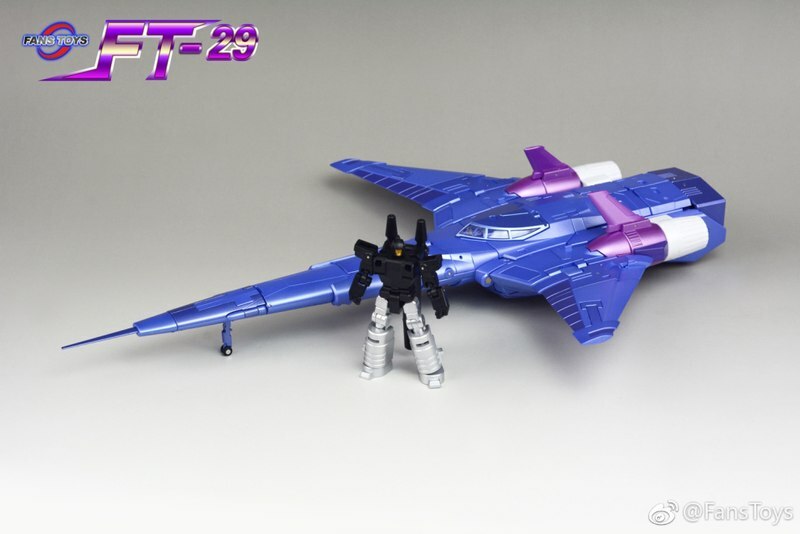 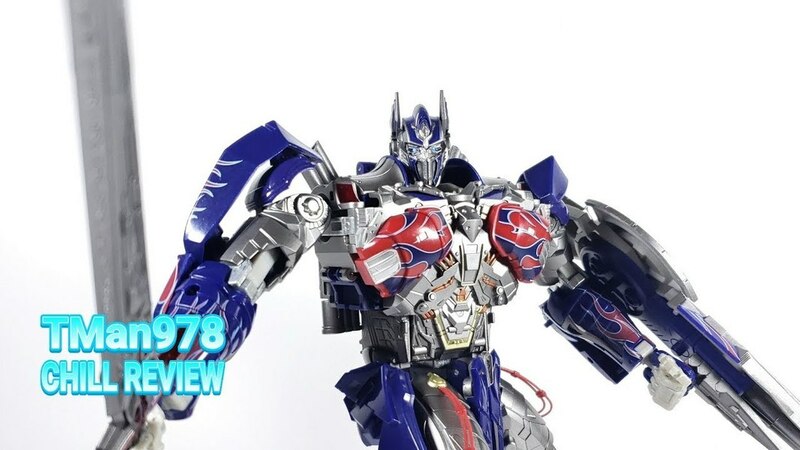 Titled as FT-29 Quietus ("quietus" being a Latin word relating to death) this was formerly an item designed for the Perfect Fusion series which has now instead been fully handed over as part of the regular Fans Toys lineup. 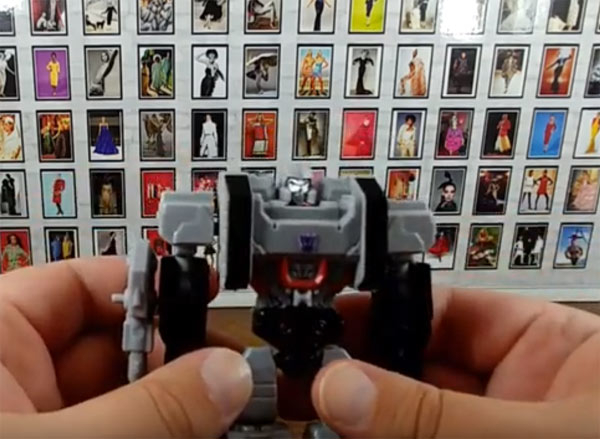 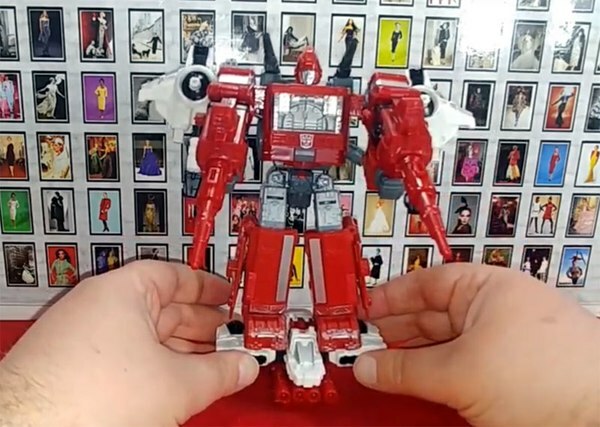 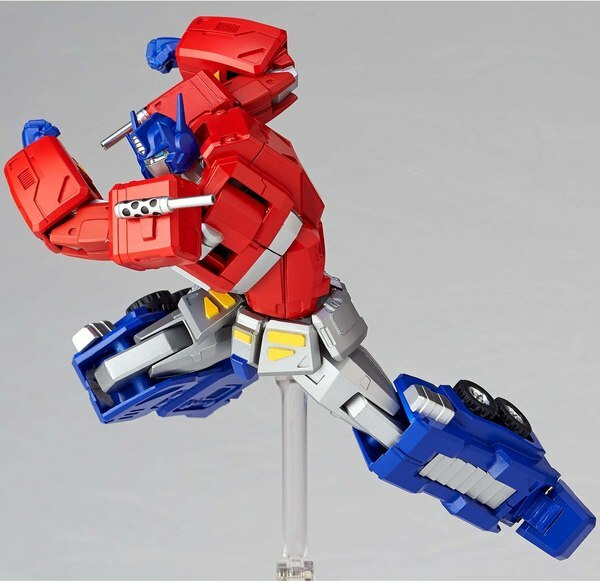 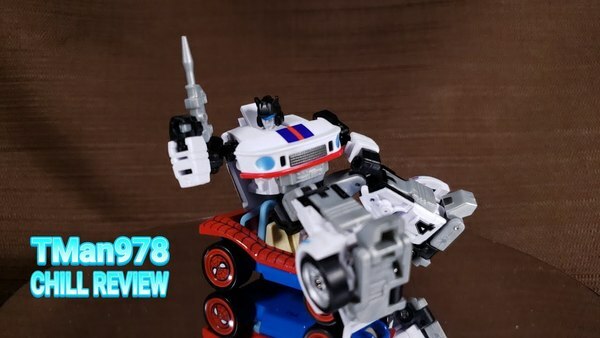 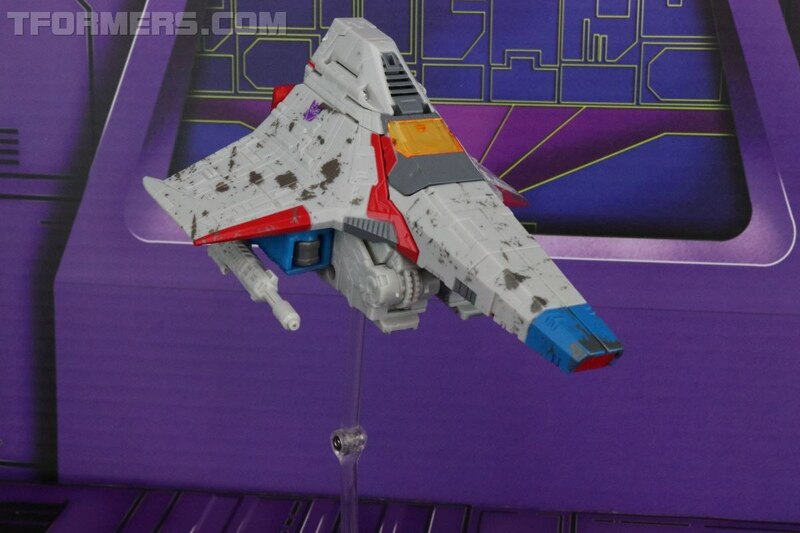 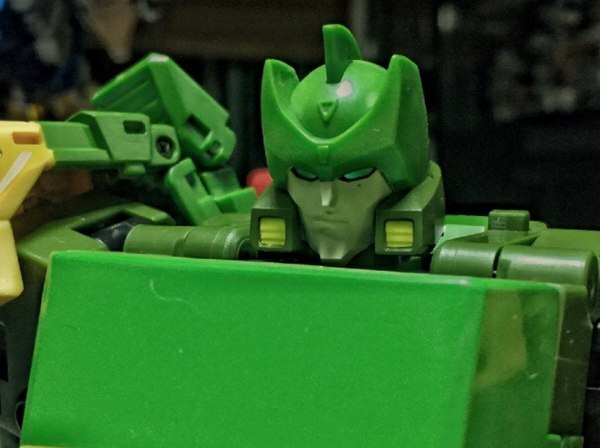 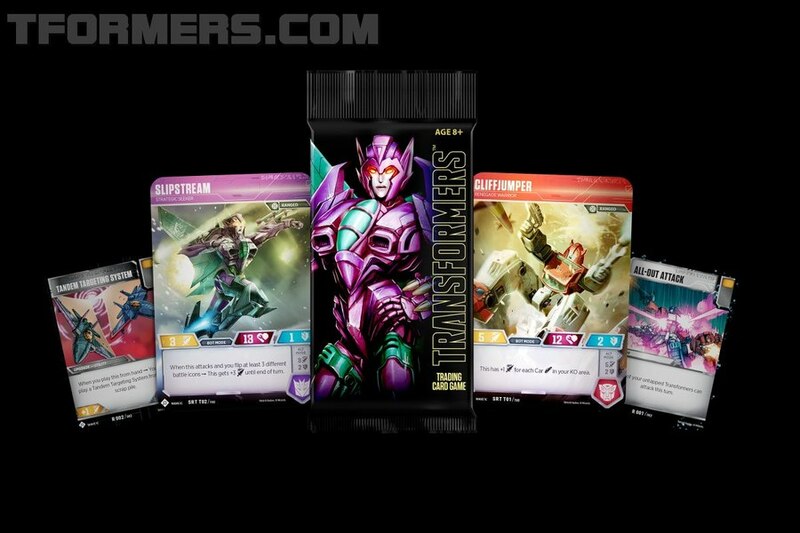 It doesn't appear that anything has been lost in that process, as the newly released photos show a full range of accessories including IDW-inspired alternate parts and a Targetmaster to cover all the bases. 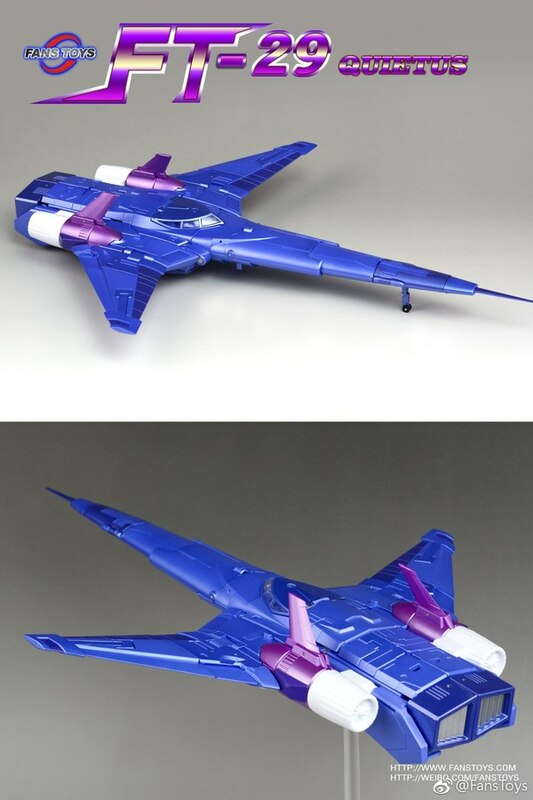 You can check out the mirrored images below.